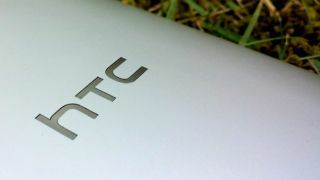 HTC's new phone could be a desirable handset, if the price is right. The Desire 8 could be a low-key alternative to the M8. The HTC Desire 8 has popped up a couple of times over the last week or so and now it's back with something approaching a full spec list. The phone is set to ship with a 5.5-inch 720p display and a 1.2 GHz quad-core Snapdragon 400 processor according to tipster and ROM developer LlabTooFer. Additional specs include a 13MP main camera, 5MP front facing camera, 1GB of RAM, 8GB of storage and microSD card support. The phone will also apparently ship with Android 4.4.2 KitKat overlaid with Sense 6.0. We'd heard about the screen size and megapixel count already and this new rumour matches the earlier ones, but with the rest of the specs in tow we now have a clearer picture of what to expect from the phone. It's about as mid-range as you can get, in fact on paper it's a pretty even match for the Motorola Moto G, albeit with a larger screen and a much better camera. We also can't imagine it being as cheap as the Moto G, but an earlier leaked image of the handset showed a plastic build, which suggests it will slot in below the HTC One mini and certainly below the rumoured HTC M8 mini, so a reasonable price tag could be on the cards. It looks as though an MWC 2014 announcement is likely, so we should know before too long. The Desire 8 looks interesting but all eyes are on the HTC M8.